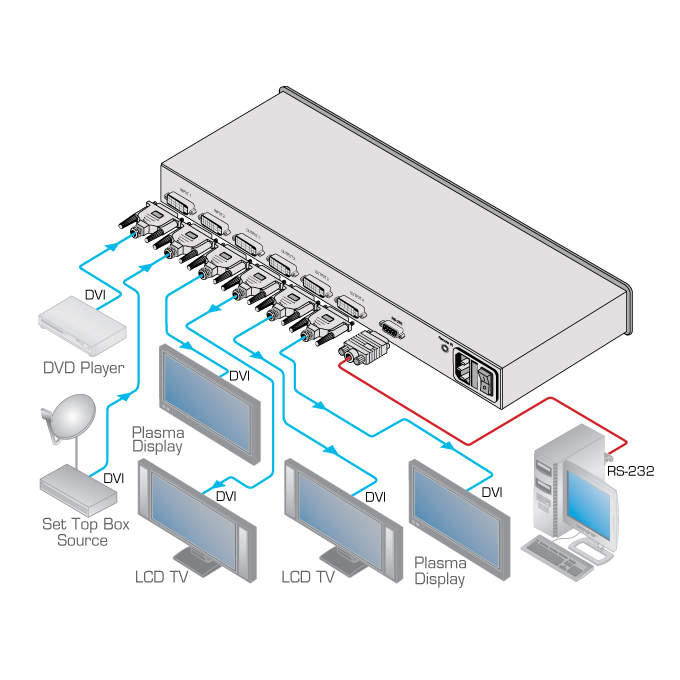 The VM-24HDCP is a high-performance distribution amplifier for DVI signals. The unit reclocks and equalizes one of two input signals and distributes it to four identical outputs. I-EDIDPro Kramer Intelligent EDID Processing - Intelligent EDID handling & processing algorithm ensures Plug and Play operation for DVI systems. Control - Front panel & IR switching. HDMI Support - HDMI Compressed Audio Channels.